With lots of action on this awesome track, and off the track too, this is going to be a great day out. To take part in the show and shine you can just turn up on the day but it is recommended that you pre-book your space by emailing pippa@modifiedlive.co.uk. Pre-booked tickets are £15.00 per person, £20.00 on the gate. Under 12's are free. 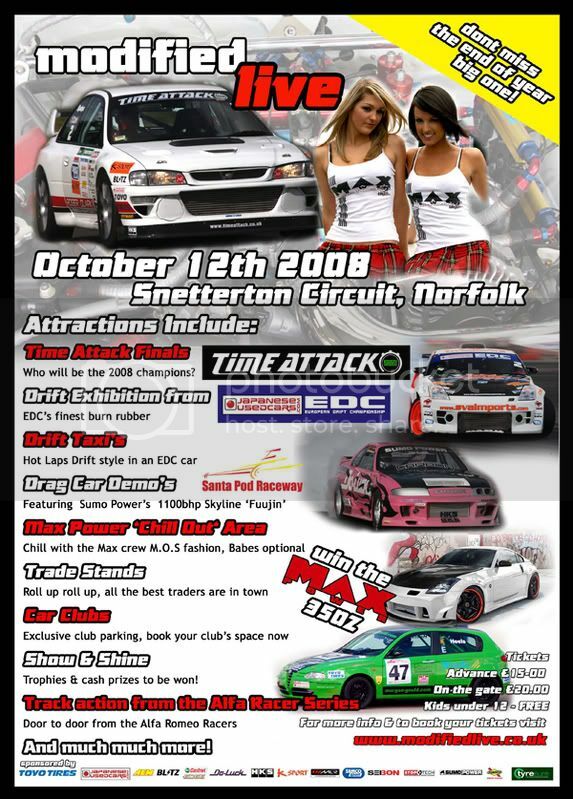 Full details on the competition prizes, judging times and how to book club stands and tickets can be found on www.modifiedlive.co.uk.